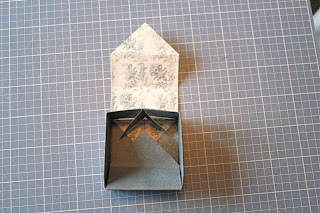 I just love making kirigami boxes. 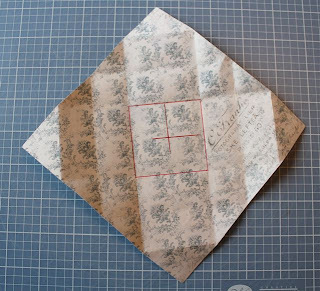 This ancient art makes for beautiful paper crafts. 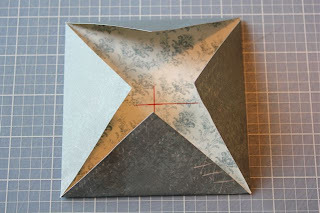 Here I am using the Pion Design Studio of Memories collection. 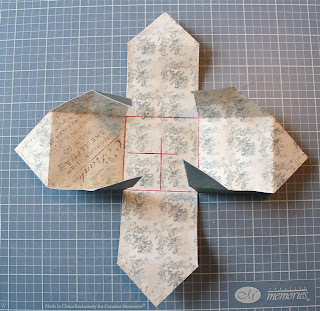 Actually, this entire project was made using ONE single sheet of 12x12 paper. 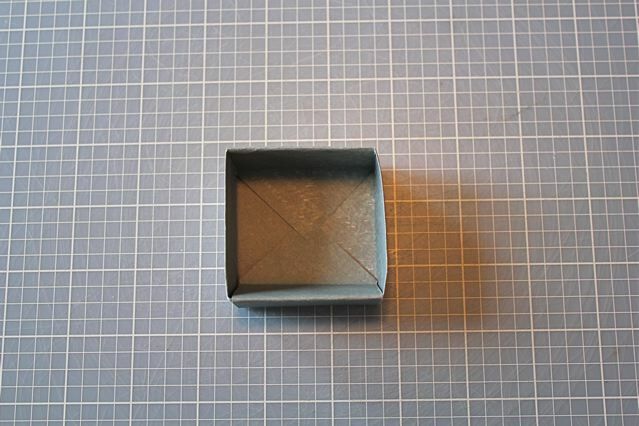 The box measures about 2x2x3 inches. Half the sheet (2 - 6x6 inch pieces) for the box and the other half for the flower. I added a bit of lace and pearls (thank you Ivana for the pearls!) and it was done. STEP 1: You will need 2 square papers one for the top and one for the bottom of the box, scissors, adhesive and anything you wish to decorate the box with. 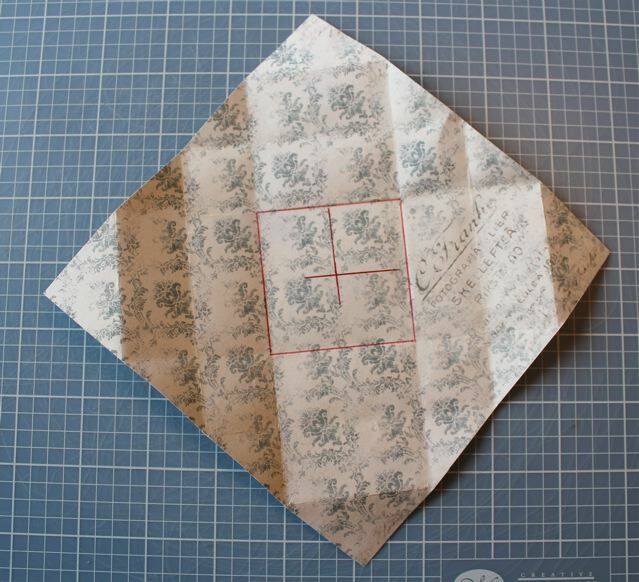 Find the centre of your paper by aligning a ruler to the corners and marking in the middle of the side of the paper that will be on the inside). 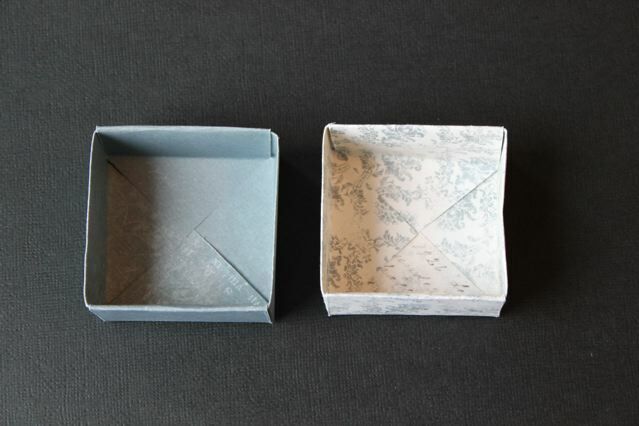 A 12x12 paper will make a 4 inch box and a 6x6 paper will make a 2 inch box. 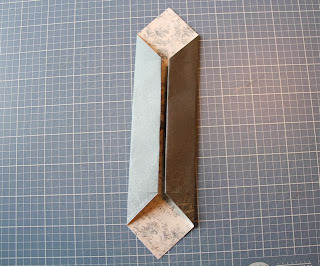 STEP 2: Fold in corners to the middle. STEP 3: Open up 2 opposite corner and then fold in the remaining 2 sides over again to the middle. 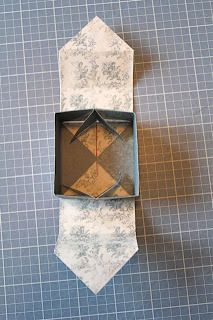 STEP 4: Open it all up and repeat on the other 2 sides. 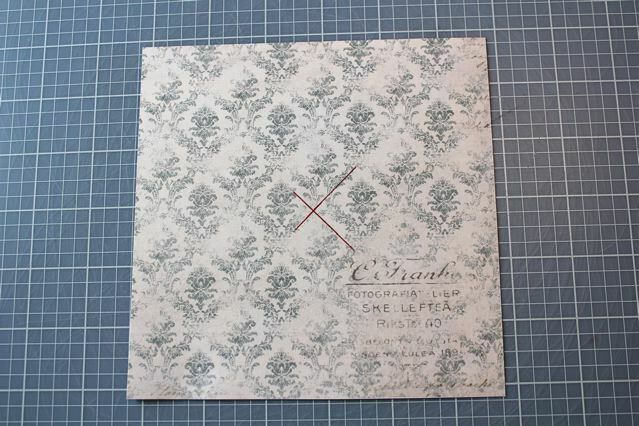 You will then get a square creased (top of the box) in the middle of the paper and a smaller square pattern on the rest of the paper. 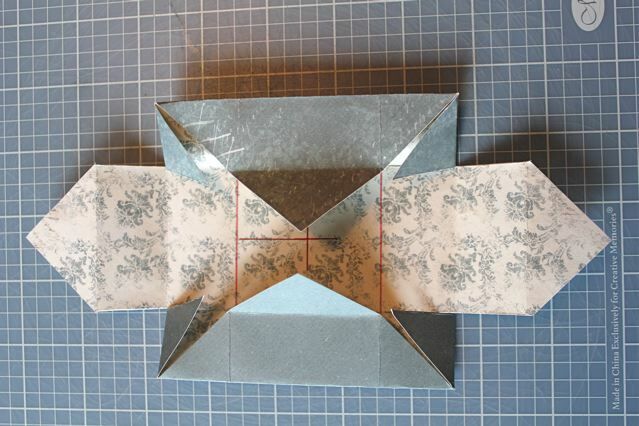 STEP 5: On two opposing sides, cut up to the middle box shape (along the crease). STEP 7: Fold up on the crease to make the side of your box and fold in the cut flaps to look like below. 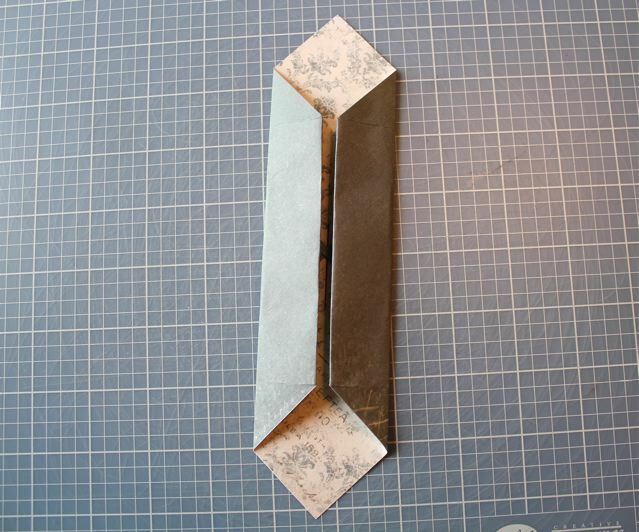 You can use a piece of tape to keep the flaps together. 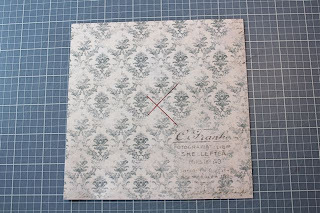 STEP 8: Fold the remaining pieces over the taped together flaps. STEP 9: Secure with adhesive. 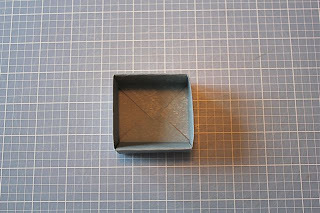 This is the top of the box. 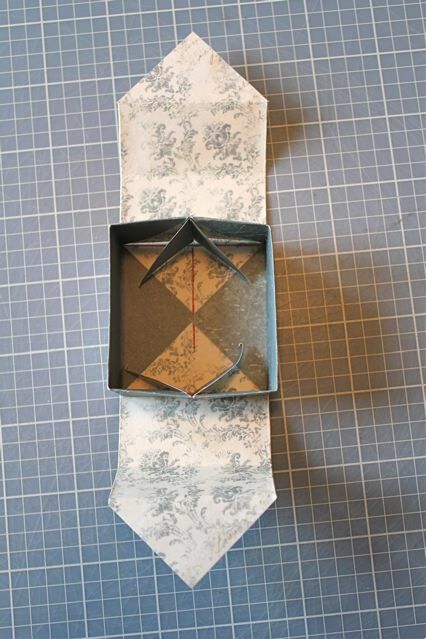 STEP 10: Repeat the entire process with another sheet of paper for the bottom of the box. STEP 11: Decorate and assemble. 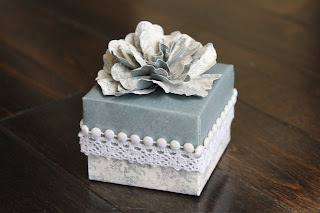 I made a water distressed flower with my sugarplum flower tutorial technique, using 8 layers of different shape and size flower punches. 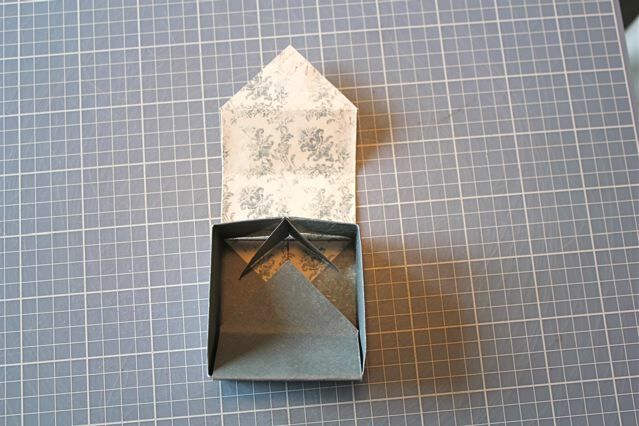 I hope you give this folded box a try. This is a great, quick little project that took me under half an hour to complete with the decorating!